Edubuntu is a partner project of Ubuntu, a distribution suitable for classroom use. The aim is that an educator with limited technical knowledge and skill will be able to set up a computer lab, or establish an on-line learning environment, in an hour or less, and then administer that environment without having to become a fully-fledged Linux geek. Rate this project Sam Geeraerts has announced the release of a new version of the gNewSense distribution. gNewSense is based on Debian and is assembled using free and open source software exclusively. The distribution is sponsored by the Free Software Foundation. The latest release, gNewSense 4.0, is available in three architectures (i386, mipsel and x86_64). "I hereby announce the release of gNewSense 4, codenamed Ucclia. It's based on a solid Debian, modified to respect the Free Software Foundation's and is available for three architectures: i386, amd64 and mipsel (Lemote Yeeloong). Torrents for the live DVD images are available, as well as direct downloads and netboot images." Links and further information can be found in the mailing list announcement and following thread of e-mails. Download: gnewsense-live-4.0-amd64-gnome.iso (1,081MB, SHA256, signature, torrent, pkglist). Also available from OSDisc. A product sponsored by the Free Software Foundation, gNewSense is a Debian-based Linux distribution released without any proprietary and non-free components, and several enhancements. Notably, all proprietary firmware, restricted modules and Debian logos are removed. The goal of the project is to produce a totally free ("libre") Linux distribution. Sam Geeraerts has announced the release of gNewSense 3.1, a minor update of the project's Debian-based Linux distribution built strictly from free software as defined by Richard Stallman's Free Software Foundation: "Hi, I'm pleased to announce the release of gNewSense 3.1. This is a minor update to the current stable version with code name 'Parkes'. These are the most important changes: the correct country-specific package repository (instead of the beta one) is set at installation time; NetworkManager is included on the live image by default; the expert installer no longer suggests to install Debian's non-free repository. Current users of gNewSense 3.0 don't have to reinstall as they get all the updates automatically. However, they should fix their repository configuration. That repository will be disabled next week, in order to start development on gNewSense 4. I urge you to update your software sources to the correct ones as soon as possible." Here is the brief release announcement. Download: gnewsense-live-3.1-amd64-gnome.iso (1,121MB, MD5, torrent). Sam Geeraerts has announced the third major release of gNewSense, a Debian-based Linux distribution built strictly from fully free software: "The stable release of gNewSense 3.0 is a fact. With the help of GNU Linux-libre and various other people helping to check and hack on freedom issues, we've been able to produce a new major version that aligns with the Free Software Foundation's freedom guidelines as well as Debian's quality standards. 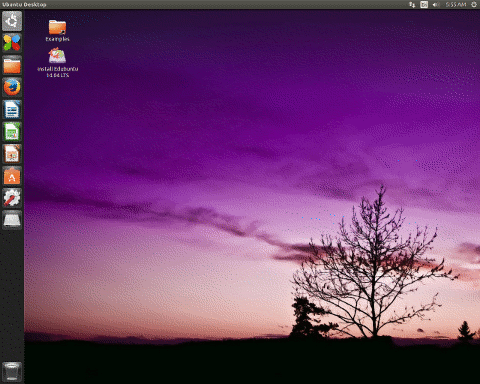 You'll find that the look has changed from previous releases, marking the change from Ubuntu to Debian as a base. We also support 3 architectures now: i386, amd64 and mipsel (Lemote Yeeloong)." Read the one-sentence announcement on the gNewSense homepage and the full announcement as published on the project's mailing list. Download: gnewsense-live-3.0-amd64-gnome.iso (1,118MB, MD5, torrent). Sam Geeraerts has announced the availability of the second beta release of gNewSense 3.0, a Debian-based Linux distribution built strictly from "libre" components only: "The second beta release of gNewSense 3.0 (code name 'Parkes') is available for download. The following issues have been fixed: the live installer (which can be started with the icon on the live desktop) works now, you also still have the text and GUI install boot menu options; the graphical installer now looks like gNewSense instead of Debian; OpenOffice.org is included in the default install; the boot menu is shorter so that items at the bottom are more easily readable. There's only a live CD for i386 so far. Netboot images will follow shortly. I will provide a live CD for amd64 too, but that needs a bit more work." Here is the brief release announcement as published on the project's mailing list. Download: gnewsense-livecd-parkes-i386-3.0beta2.iso (1,078MB, MD5, torrent). Sam Geeraerts has announced the availability of the initial beta release of gNewSense 3.0. gNewSense is a Debian-based distribution sponsored by Free Software Foundation and built strictly from free ("libre") software only. This version is based on Debian 6.0 "Squeeze" (with GNOME 2). From the release announcement: "The beta release of gNewSense 3.0 (code name 'Parkes') is available for download. There are netboot images for all 3 architectures and a live CD for i386. I'd like some feedback on that first before I spend time on creating a live CD for amd64. I also hope to resolve some of the following issues with the live CD shortly: the live installer (which can be started with the icon on the live desktop) fails at step 'Configure the package manager', the text and GUI install (started from the boot menu) do work; you get an i486 kernel by default, you can install the i686 kernel like any other package once you've booted the system; boot menu items Memtest86+ and Help fall off the bottom of the screen...." Download: gnewsense-livecd-parkes-i386-3.0beta1.iso (973MB, MD5, torrent). Karl Goetz has announced the release of gNewSense 2.3, a 100% free distribution as defined by Free Software Foundation, based on Ubuntu 8.04 LTS: "The gNewSense project is pleased to announce version 2.3 of its FSF free GNU/Linux distribution, in the form of a point update to the release, code-named 'deltah'. Users of earlier gNewSense 2.x releases can update to 2.3 with a standard system update. A short list of relevant changes for this release is: freedom bugs fixed - several packages freed, over 15 packages removed, over 20 sourceless files removed from Linux; install CD changes: removed Tomboy and F-Spot, added gNote, gThumb, JFS and XFS. This release contains all security updates made up to 2009-09-11. As with other 2.x releases, this gNewSense release is available as a live CD for x86 (i386) systems, using GNOME as the default desktop environment (others, such as Xfce or KDE, are available post installation)." Here is the brief release announcement. Download: gnewsense-livecd-deltah-i386-2.3.iso (613MB, MD5, torrent). Karl Goetz has announced the release of gNewSense 2.2, an Ubuntu-based, 100% free GNU/Linux distribution as defined by the Free Software Foundation (FSF): "The gNewSense project is pleased to announce version 2.2 of its 100% FSF Free GNU/Linux distribution. This is the second point update to the release code-named 'deltah'. This release introduces GLX back into the default install. This enables hardware acceleration by default, meaning Compiz and 3D games will work once again. Short list of changes: installer now supports two more file systems; GLX re-introduced; changed description of -updates and -backports in Software Sources; lsb_release output corrected; GNU Icecat repository available via Software Sources; Builder - substantial code restructuring...." See the rest of the release announcement for more information. Download the live CD image from here: gnewsense-livecd-deltah-i386-2.2.iso (621MB, MD5, torrent). Brian Brazil has announced the release of gNewSense 2.1, an updated version of the Ubuntu-based distribution which contains free software only: "I've just released the live CD for gNewSense 2.1, the second full release of 'DeltaH'. This brings in a number of updates, fixes and improvements. Changes since 2.0 include: Linux-ubuntu-modules cleared of non-free blobs; usplash added; new theme and artwork; re-added fix for module-init-tools for eepro100; builder - live CD no longer asks for password on sudo; builder - added support for extra repositories in python-apt; builder - various tweaks, fixes and improvements. Upgrading from 1.9/2.0: Follow the upgrade notifications in GNOME. There's no need to download the 2.1 CD. To change to the gNewSense theme in GNOME, go to System -> Preferences -> Appearance. Select 'gNewSense' in the 'Themes' tab and press 'Close'." Read the full release announcement for more details. Download: gnewsense-livecd-deltah-2.1.iso (604MB, MD5, torrent). Brian Brazil has announced the final release of gNewSense 2.0 "DeltaH", a 100% "libre" distribution based on the recently released Ubuntu 8.04: "I've just released the live CD for gNewSense 2.0, the first full release of 'DeltaH'. This is less than a week after 'Hardy Heron' was released. All bugs reported since the 1.9 beta have been addressed. Features since 1.1: now based on Ubuntu 'Hardy Heron'; new artwork; switched from BurningDog (Firefox) to Epiphany; switched to BLAG's 'deblob' script for the kernel; non-free GLX removed from X/mesa; builder - use chroot for building; builder - added support for Debian source packages." Here are the brief release announcement and release notes. Download: gnewsense-livecd-deltah-2.0.iso (688MB, MD5, torrent).